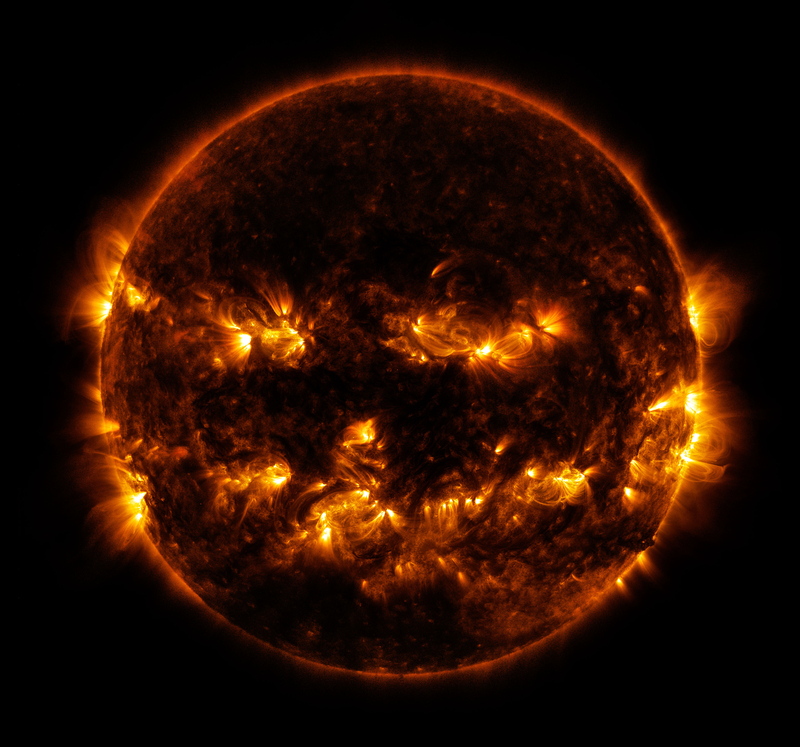 Active regions on the sun combined to look something like a jack-o-lantern’s face on Oct. 8, 2014. The active regions appear brighter because those are areas that emit more light and energy — markers of an intense and complex set of magnetic fields hovering in the sun’s atmosphere, the corona. This image blends together two sets of wavelengths at 171 and 193 Ångströms, typically colorized in gold and yellow, to create a particularly Halloween-like appearance.